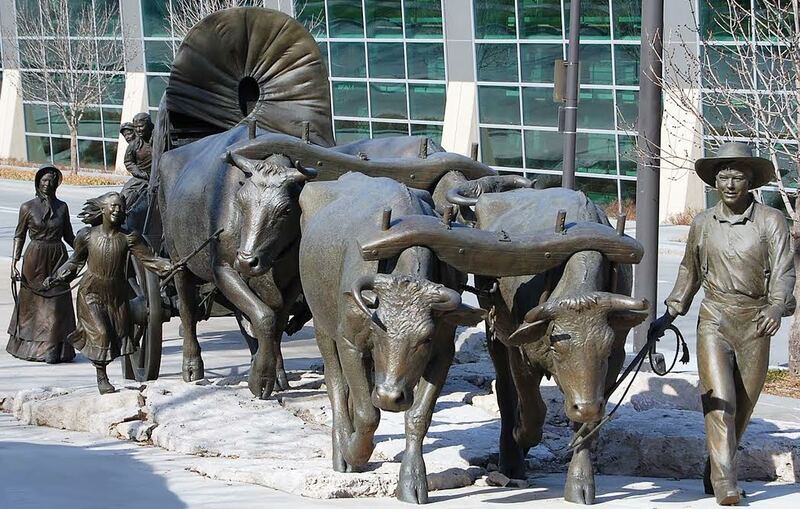 Blair Buswell contributed to a marvelous city-block long sculpture wagon train monument in Omaha, Nebraska. The 1990 Sport Artist of the Year, Blair Buswell, continues to amaze his fans with awe-inspiring sculptures across the country. Buswell, the second sculptor to be honored as the Academy’s Sport Artist of the Year, is known for his lengthy list of larger-than-life monuments of famous sport’s figures, such as the former University of Alabama head football coach, Paul “Bear” Bryant; former professional golfer, Jack Nicklaus; famous baseball player, Mickey Mantle; and most recently John Wooden, the former head coach at the University of California, Los Angeles. Buswell has been responsible for sculpting nearly 70 busts of the Professional Football Hall of Fame inductees since 1993. Patrons can enjoy Buswell’s pieces in art galleries across the United States from Hilton Head Island, S.C., to Breckenridge, Colo. Along with sculpting artists, Kent Ullberg and Ed Fraughton, Buswell took on the largest project of his career to date, when he accepted the task of sculpting a city-block long sculpture of a wagon train monument in 2002. The piece features a life-size wagon train that adorns the streets of downtown Omaha, Neb. Buswell was also honored with the responsibility of sculpting the medallions for Super Bowl XIX through Super Bowl XXI and the Doak Walker Award, which is given annually to the top collegiate running back. The United States Sports Academy Board of Trustees commissioned Buswell to sculpt a bust of Dr. Thomas P. Rosandich, the Academy’s founder and President. The sculpture currently adorns the lobby of the Academy for visitors to view. 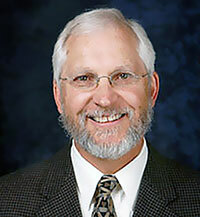 Buswell is a board member of the National Sculpture Society and was appointed by the Governor to serve on the Board of Directors of the Utah Arts Council. In addition to being a member of the Northwest Rendexvous Group, a Western art group, he is also a member of the Prix de West Society, the National Cowboy and Western Heritage Museum. After becoming an all-conference sprinter and being named one of the best art students at his alma mater, Ricks College in Rexburg, Idaho, Buswell transferred to Utah State University (USU) to study illustration. Soon after, Buswell transferred once more to Brigham Young University, where he earned a Bachelor’s degree in Secondary Art Education on a scholarship. As if this wasn’t ambitious enough, he also served as a running back for the USU Cougars, who at the time were a nationally ranked football team.